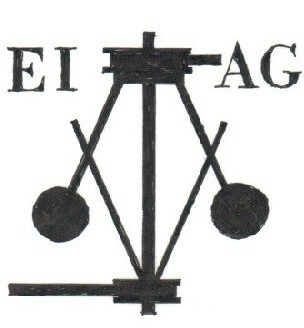 Welcome to ESAH160 the news blog of the 'Essex Society for Archaeology and History'. The blog complements our new website, esah1852.org.uk. News: The Society's new website, esah1852.org.uk has been launched. Changes will be made to this blog over the coming weeks to improve user experience. 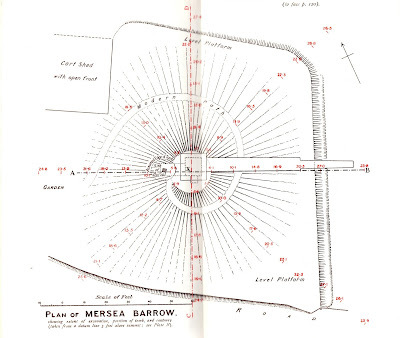 The report of the opening of the Mersea Barrow in 1913 was deficient of two Plates. In Transactions Volume 13 Part 2 appeared a slip, "MORANT CLUB REPORT. 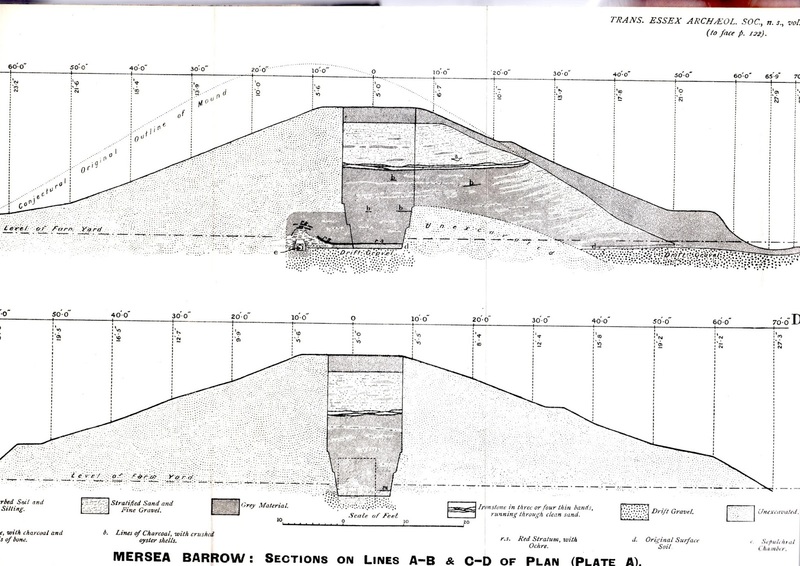 Plates A and B will, it is hoped, be issued with the next Part in January 1914." Plates A and B are copied below. 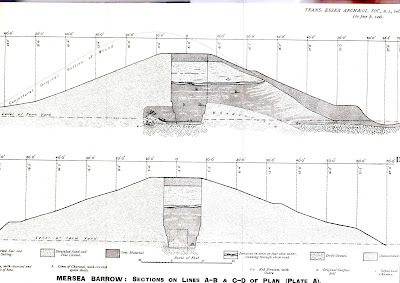 Plate A is of interest because it shows the trench dug from the east to the centre, and the 12 feet square 'room' which was shortly afterwards created as a permanent feature. To be a member is to join a long line of enthusiasts ... bringing together those with a common interest in Essex's past. Click image for more. 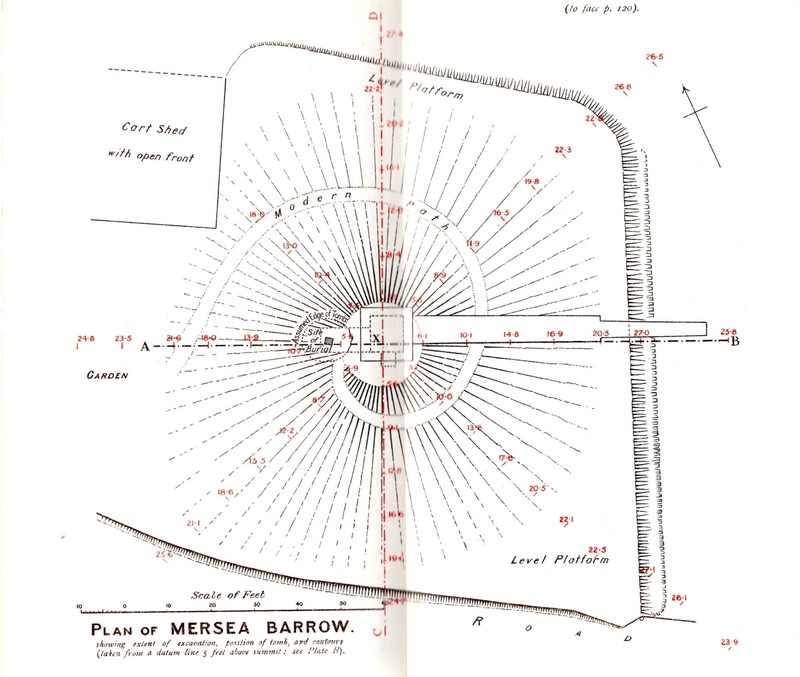 Originally published in the Transactions of the Essex Archaeological Society in 1908. Braintree Textile Fair. Sunday 12 May 2019. 10am-4pm.